In my opinion Logistics industry can be described as wheels of Globalization and key to the market expansion and competitive product availability to the growing global consumers. Dynamic business conditions and confronting economic conditions are driving globalization. Globalization is resulting due to expanding markets, exploding retail market, product proliferation, ever changing needs of customers, economic downturn, cost pressures, technology, cultural integration and government policies around the world. It would be wrong to assume that globalization influences economy and trade only; we are seeing integration in the areas of culture, media, education, research and development, tourism and even climate change. On political front, we see collaboration and collective approach in addressing daunting challenges we face today. Globalization will make our societies more creative and prosperous, but also more vulnerable and in transforms economies more competitive. 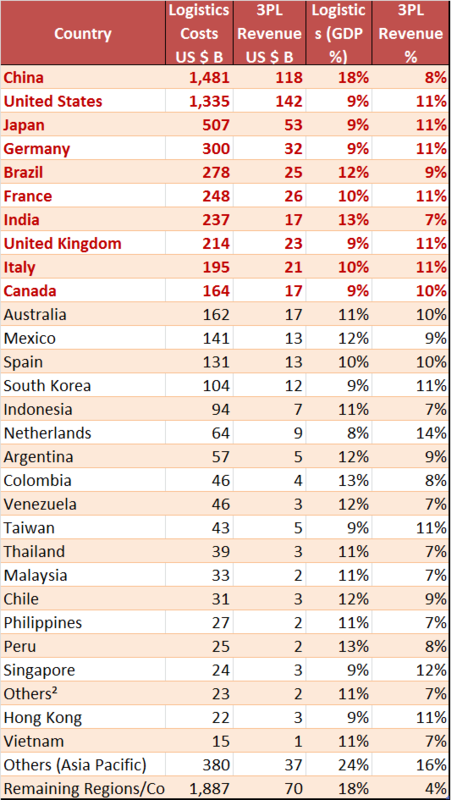 It would be very interesting to analyse 2013 numbers as the world trade is not promising. World trade is expected to grow by 2.5 percent this year and 4.5 percent in 2014 (source: The World Trade Organisation). More and more companies are developing agile supply chains and compressing product supply lead time and at the same time reduce the cost of production. In order to achieve all these goals, outsourcing supply chains is one of the solutions. According to CAPGEMINI Consulting 2014 report 72% of the shippers are planning to increase use of outsourced logistics services and whereas the 3PL companies believe that 78% increase in business. Let us hope economy responds well in 2014! Warehousing Management is part of a logistics management business process, which is itself is a facet of supply chain management. The general perception of the Warehouse is simply a place to store finished goods; semi-finished goods and raw material, inbound functions that prepare items for storage and feed manufacturing line and outbound functions that consolidate, pack and ship orders in order to provide important economic and service benefits to both the business and its customers. In my opinion Warehouse Management (WM) is not given required attention with the advent of Supply Chain. Warehouse Management is considered as back-end job. In my opinion, the WM is fundamental to supply chain success. The flow of material is very critical to supply chain and the flow is seamlessly managed by the Warehouse. WM is a science and an inefficient Warehouse or a process could cause disasters to the business. This is a rudimentary attempt to familiarise the WH functions and its intricacies. Hope you enjoy the same and I sincerely appreciate your feedback. Solutions to avoid inventory Carrying? In general supply chain innovations or improvements focussing on inventory optimization target either lead time reduction or cost savings and in some cases both. The bottom-line for these concepts is to reduce or eliminate inventory and minimize the impact of inventory carrying costs on the P&L and to reduce the lead time. If I were an entrepreneur involved in manufacturing, I would love to own inventory that is just required for that day’s production needs. If I am big reseller I would like to buy material that is just required to meet day’s demand. If I am a big buyer, I would prefer suppliers to carry inventory that is required by me. The reason for all these demands is that Inventory costs money and its money to carry the same. And that is the reason everyone would like to differ the inventory carrying. Do we have solutions to meet this requirement within Supply Chain? And that is the reason we are here to find out the solutions. This is a very popular concept in Asia and majority of High Tech/IT manufacturers use this solution. What is VMI? The title indicates the meaning and objective of the solution. The inventory that is required by the manufacturer is managed and maintained by the supplier at the back yard of the manufacturer. The objective of VMI is that by pushing the decision making responsibility further up the supply chain, the manufacturer will be in a better position to support the objectives of the entire integrated supply chain resulting in a sustainable competitive advantage. This solution creates a transparent supply chain enabling supplier and buyer to avoid uncertainties in supply. Centralizing and automating the replenishment decision also helps reduce the distortions in ordering introduced when there are several intermediaries that place orders in a supply chain. The big change to supply chain is that VMI transforms push supply chain to pull supply chain thus avoiding wastages and uncertainties. As you can see from the above graphical presentation, in a VMI environment three parties are involved. 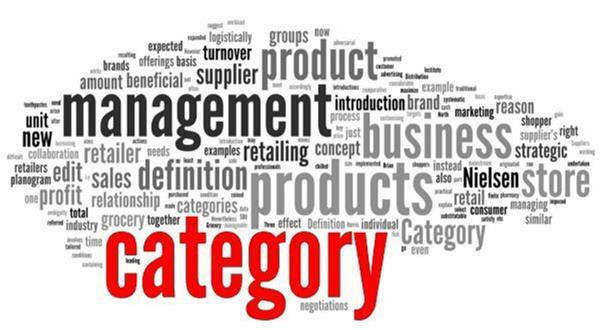 The first one is the Vendor, the second one is the manufacturer or the buyer and the third one is the 3PL appointed by the buyer to store, manage and supply vendor material to the production line as and when required. 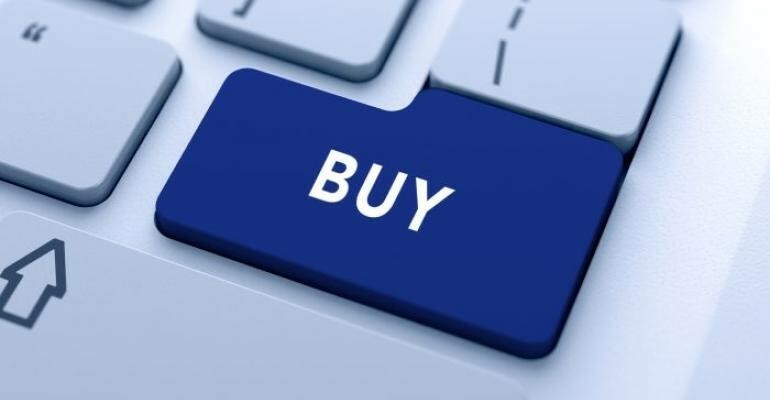 The buyer provides indicative yearly consumptions and allows the vendor to develop safety stocks and reorder points to ensure that the VMI hub never runs out of inventory. One can notice the responsibility of inventory planning is shifting to the vendor instead of buyer. This model also provides the certainty to the Vendor with regard to demand for their product. This model is very popular in raw material supply environment. However, this model can be customised to a finished goods environment. At K-mart, customer service measures have gone form the high 80s to the high 90s. Inventory turns on seasonal items have gone from 3 to between 10 and 11, and for the non-seasonal items form 12-15 to 17-20. ACE Hardware, the large hardware cooperative, has seen fill rates rise 4% to 96% in the past few years. Fred Meyer, the 131-unit chain of super-centres in the Pacific Northwest, reduced inventories 30% to 40%, while sales rose and service levels increased to 98%. This was due to a VMI program implemented with two key food vendors. Grand Union, a New Jersey-based grocery retailer with more than 100 stores and three DCs, improved inventory turns by close to 80% and achieved 99% service levels. Source: Fernando del Cid, Roger Gordon Brian Kearns, Paul Lennick, and Andreas Sattleberger. This is something similar to VMI with subtle difference. In this case there are only three parties involved, that is the buyer and the seller. 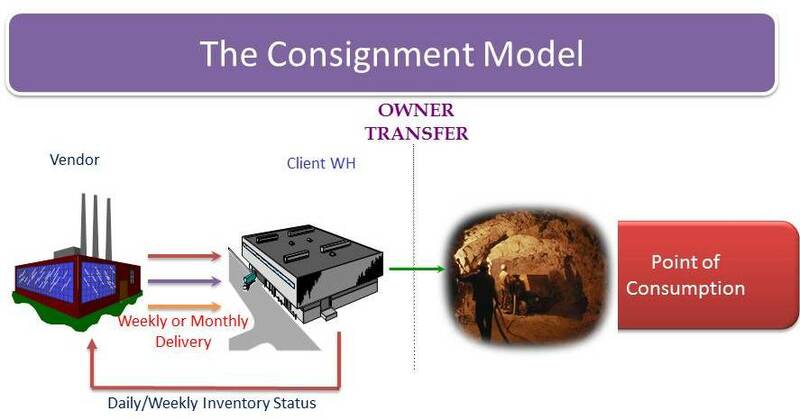 Under this model, Inventory owned by the supplier is held by the buyer and the ownership of goods transfer to the buyer only at the point of consumption. Consignment stock arrangements are usually put in place to assure continuity of supply to the customer or to reduce the customer’s working capital or both. While much of the benefit is to the customer, the supplier also benefits because the customer is tied to his product, he does not have to hold stock, and has more freedom in choosing when to manufacture or procure additional supplies to replenish the consignment stock. Having worked in mining industry, I have seen many suppliers dealing with mining products enter into an consignment inventory agreement with the mining companies to supply inventory to the mining companies on consignment basis and generally billed at the end of the month when consumption is accounted. This allows suppliers to tie the buyer to their product and the buyer is assured of continuous supply without investing in the inventory carrying and avoids the cost of inventory carrying which could be up to 25% per annum. Increase in overall inventory carrying with in supply chain. The pressure to reduce inventory is indirect. Due to lack of inventory planning by the buyer could lead to obsolete inventory for the supplier. Suppliers are likely to incur extra costs by carrying out stock audits on customer’s premises. A very high quality of stock rotation and record accuracy is required to be maintained by the customer’s employees when dealing with the suppliers’ inventory. In short, finance provided to the borrower against the inventory as collateral. Inventory Financing companies are willing to finance against the inventory/purchases up to 70% to 90% of their value with a repayment period of 120 days. This allows the buyers to choose their suppliers based on their products, prices and service, rather than on the credit availability they offer. More and more organizations are looking for solutions to differ inventory ownership. The vendor managed inventory, JIT delivery are the examples of operating without carrying inventory. These solutions may work well for the buyer but what about the seller who may be a small player. This means that the suppliers are made to wait long to convert inventory into cash. In case of JIT delivery solution, the supplier has to carry inventory at his facility which results in increasing storage and operational expenses and in case of VMI the suppliers are expected to pay the 3PL charges. This kind of challenging expectations makes the suppliers non-competitive. This could only lead to ill-will among the suppliers and result in high cost of material, poor quality or even could lead to bankruptcies. In an attempt to lessen this cash burden on the smaller suppliers, some of the service providers and Bankers are providing several trade-financing alternatives. These alternatives could be driven at the behest of the major client of the 3PL, in which case the credit rating of this entity is used to compute the cost of money to the smaller suppliers – thus providing a win-win situation for all concerned. Alternatively, these deals can be structured independently for either the large corporations or the smaller suppliers. In either case, the cost and benefits would depend on each individual case. However, it will prove a definite win for all concerned. 3PL would pay suppliers (finished goods supplied): In this case, if a supplier gets paid by the buyer in 60 days as per the commercial terms negotiated, 3PL can step in and pay the supplier in7 days’ time (imaginary). The supplier gets the money fast and hence would offer a cash discount to 3PL. On the 60th day, the buyer would pay 3PL the full value of the invoice, as they do currently. In this scenario, this is transparent to all in the process. The supplier gets paid faster and therefore can afford to give a cash discount from 1 to 3%. This enables the buyers to use their credit limits to handle their core requirements. The discount rate would be less than the supplier’s cost of capital as 3PL would most probably be charging an interest rate that applies to buyer’s credit rating. The savings for the buyer; would be that they can minimize their back office activities such as account payable to some extent. They can afford to do this as the rates and quantities are already checked and vouched for by 3PL. Finished Goods Inventory Financing: In another instance where 3PL may buy the finished goods inventory from their clients. The clients would then be able to recognize revenues immediately and also get these assets off their balance sheet. At the same time, their customers would be able to buy these products and thus put them on their balance sheet only when they absolutely have to do. This would help clients in a “Vendor Managed Hub” situation and clients who need to get sales revenue recognized at the end of a quarter to meet their financial goals. The risk of obsolescence would be borne by the client (would be treated as sales returns) and any shrinkage or losses would be borne by 3PL and/or client. The benefits for the clients are phenomenal as can be imagined. As part of this package, 3PL would also be willing to purchase up all the inventories of a client and “park” these assets on their balance sheet. The immediate impact on cash flow and lines of credit for a client is immense. Raw Materials Purchase: 3PL would also, as part of these activities, help finance the raw materials or finished goods (trading) for a client directly from the suppliers. In this instance, 3PL would pay cash for the raw materials and put these assets on 3PL balance sheet. The advantage for the client would be that the client can negotiate a bulk/cash rate from their suppliers and take advantage of the lower cost. The client will then pay 3PL for the materials as and when they draw from this inventory. Here again, the cash flow is a significant impact for the client as well as opening up the lines of credit for other core activities. It is needless to add that the obsolescence is borne by the client and warehousing charges for holding the inventory will be paid by the client. Best of the breed: In this model they use a financial institution and 3PL act as a custodian of the inventory. The material purchased by the 3PL client will be paid by the financial institution as per agreed commercial terms. This helps the suppliers to get their payments quickly and is willing to offer cash discounts to the buyer (in this case 3PLs client). 3PL will release inventory to their client based on the amount of payments cleared and on the instructions of the financier. 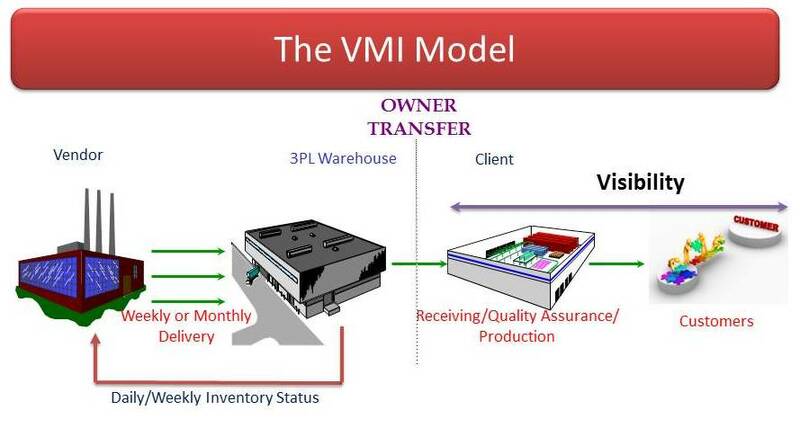 However, the buyer (3PL client) will own the inventory and be accountable for the obsolescence. This will help the buyer to have additional line of credit on top of working capital already borrowed based inventory held by them. The main objective of inventory financing is to reduce burden on supplier and at the same time differ the inventory ownership for the buyer. In the process, buyer end with low finance costs and 3PL add value to the business by owning inventory. The author worked with major corporates who hates to own inventory at any part of the business process. Four major functions of warehousing include, receiving, storage, pick-n-pack, and shipping, it is estimated that 70% of warehouse costs are incurred for the storage and pick-n-pack activity, storage because of inventory holding costs, and order picking because it is labour intensive. Cross-docking is a logistics technique that eliminates the storage and order picking functions of a warehouse while still allowing it to serve its receiving and shipping functions. The idea is to transfer shipments directly from incoming to outgoing trailers without storage in between. Shipments typically spend less than 24 hours in a cross-dock, sometimes less than an hour. Manufacturing cross-docking – the main function of this activity is to receiving and consolidating inbound supplies to support Just-In-Time manufacturing. “The “warehouse concept” made famous by Costco is all about reducing logistics costs, and cross-docking is at the centre of the strategy. Because the outlet (itself a warehouse) displays pallet quantities, cross-docks in the Costco system receive and ship pallet quantities. At one distribution centre in California, 85% of all pallets move across the dock in tact; the remaining pallets are broken down and sorted by case in a lay down area. By not breaking most pallets at the distribution centre, Costco saves labour costs that other retailers have to pay for order picking, packing, and shipping. The urge to produce and sell goods at a very competitive price is on top of the agenda for the organizations due to global competition, dynamic market conditions, product proliferation and scrambled merchandizing. There is no end to this drive. Someone in some corner of the world is always exploring the ways and means of bringing down the cost of the product by implementing supply chain improvements to meet the customers’ expectations. 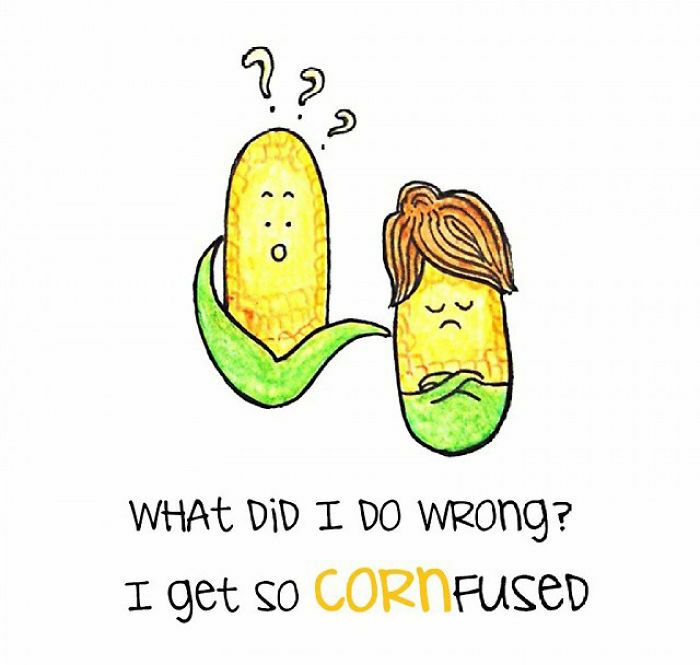 Some ideas take a shape and get experimented and implemented and some go into cold storage. 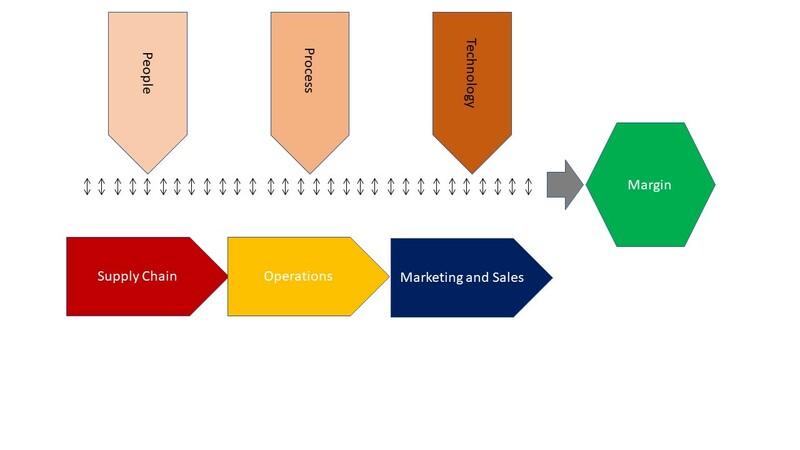 However, the quest for innovation never ends and thus makes Supply Chain Management a challenging and intelligent task. 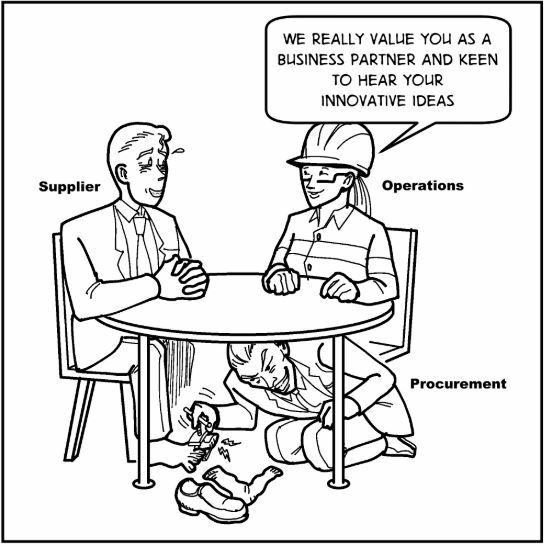 I strongly believe that all supply chain professionals are part of that elite group of individuals who strive every day to produce that magic called innovation to bring down the cost of the goods and the cycle time to deliver. What Drives Supply Chain Excellence? Supply Chain superiority determines organizational competitiveness. 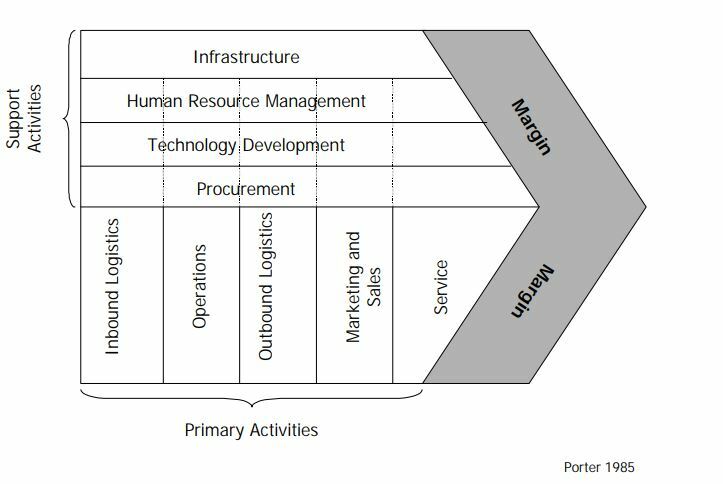 Some believe that supply chain superiority or excellence is achieved with the help of three elements; process, people and technology. Another group would advocate continuous improvement, benchmarking and KPIs, and innovative thinking would lead to supply chain excellence. Do you think these factors drive the excellence? My answer would be, yes and no. Yes because these are fundamental requirements of any supply chain but beyond these elements something else works behind the scene to improve your supply chain effectiveness. As you can see from the above graphic supply chain manages internal and external relationships with various agencies. Supply Chain relationship with Sales and Marketing, Manufacturing, Logistics, and various Vendors will ensure that the right product is made available at the right time and place at the right cost. Sales team relationships with agents, distributors, retailers and consumers will make organizations grow and become competitive. People make things happen, technology give us the ability to establish supply chain visibility and the process drives the activities. However, all these factors could function in a silo apporach and make supply chains fail. What is required is an integrated approach and integration is possible by establishing trusting relationships. Effective relationship management can provide a positive contribution to sustainable supply chain superiority and also help to satisfy stakeholder interests. Many organizations end up with huge inventories and wrong product on shelf and mounting supply chain costs. The main reason for this catastrophe is lack of trusting relationships among supply chain partners. In my opinion all above are supply chain partners. The partners could include internal members as well as external members. What is evident is that supply chain fails if the partners working for individual benefits without a common goal. Someone said, we all stumble, that’s why it’s a comfort to go hand in hand. Mutual trust was defined as “a shared belief that you can depend on each other to achieve a common purpose”. Trust plays a crucial role in strengthening relationships and organisational changes and it is a critical component in building a collaborative relationship among supply chain partners. Trust creates an increase in openness among partners involved and it is perceived as a result of effective collaborative relationships and leading to higher levels of partner/customer satisfaction. Trust is not gained in a day or two; trust is built up over a series of interpersonal encounters, in which the parties establish reciprocal obligations. “An ounce of performance is worth pounds of promises”. In order to turn your promises into performance you need commitment. The third ingredient for the supply chain success recipe is commitment; commitment means to show loyalty, duty or pledge to the core organizational values. In a partnership commitment plays a vital role along with trust. Someone rightly said, “unless commitment is made, there are only promises and hopes; but no plans.” Unless the supply chain partners are committed to a common goal which could deliver mutual benefits, it would be a challenge to establish a trusting and successful relationship. According to a recent report from Boston-based AMR Research Inc., “companies that excel in supply-chain operations perform better in almost every financial measure of success. Where supply chain excellence improves demand-forecast accuracy, companies have a 5% higher profit margin, 15% less inventory, up to 17% stronger “perfect order” ratings, and 35% shorter cash-to-cash cycle times than their peers. Companies with higher perfect-order performance have higher earnings per share, a better return on assets, and higher profit margins — roughly 1% higher for every three percentage-point improvement in perfect orders”. In order to achieve these two key measures (i.e. demand forecast accuracy and perfect order performance), committed collaborative and trusting relationships are crucial. Hachiko – A Dog’s Story motivated me to write this article. This story is based on a true incident from Japan. This story is about the relationships, trust and commitment shown by a dog and also explains how invincible bonds form instantaneously in the most unlikely situations. We do not realize the value of relationships until reality bites. Tom Peter once said, “Do what you do best and outsource the rest”. 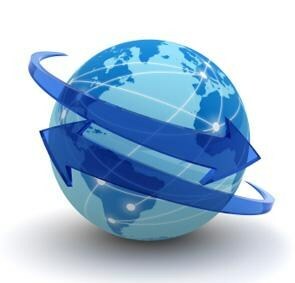 It is a common practice to outsource logistics and supply chain activities. 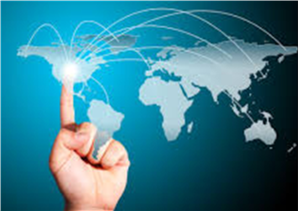 One would be surprised to know that some organizations strongly believe in insourcing logistics activities. 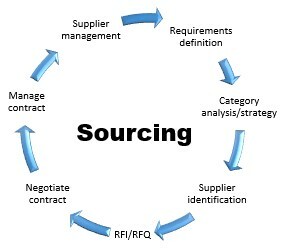 The recent study by CAPGEMINI (2010) revealed few interesting facts on insourcing. On an average of 24% of outsourcing companies indicated that they would be returning to insourcing some of their logistics activities, and 36% of 3PL respondents observe that some of their customers are insourcing certain logistics activities. 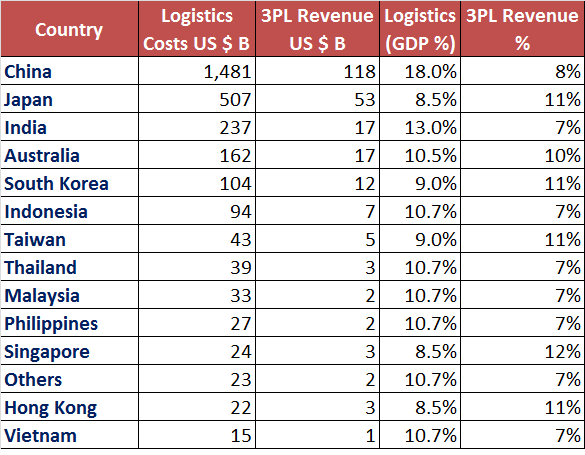 The percentages of 3PL users outsourcing individual logistics activities (versus overall outsourcing) tend to be higher in Europe and Asia Pacific than in North America or Latin America. The gap between expectation and satisfaction with regard to 3PL IT capability is widening (54%). “Deliver poorer service for disputed financial advantage”. Further, the same report revealed that 52% of the respondents indicated that the length of the contract reduced. Outsourcing community is aggressive and they do not mince words in sending out a strong message to 3PLs, “don’t sell me what YOU want, show me what I NEED”. In 2009 UK’s largest retailer, Tesco, has decided to take some of its distribution operations in-house. The move follows a company review of supply chain strategy. What prompts them to Insource? Now let us review top 5 reasons individually and understand whether they are true or system failure is causing outsourcing to fail. 1.Logistics is a core competency at our firm: What is core competency? Core competencies are the key skills, characteristics and assets that any organisation brings to the marketplace. These competencies, on an organisational level, are a synergistic blending of the core competencies that people in the organisation individually bring to work every day. If we go by the above definition, Logistics is the core competency of any 3PL company because managing logistics activities is their core business. Interestingly, one of the main objectives of outsourcing is to focus on core competency. Modern globalized companies are described as “intellectual holding companies” because they focus so strongly on their core technologies while they purchase other services from companies that excel at delivering them. Thus, their entire operations function at a high level, yet they do not have to maintain high cost infrastructure. They get world-class capabilities without the risks involved in developing them. 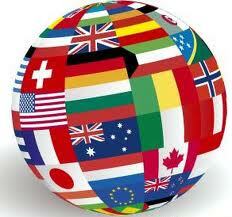 With rapid globalization, it would be next to impossible to compete in a global platform without strategic alliances. In my opinion, this reason is a myth. 2. Cost reductions would not be experienced: This could be true to some extent. In my opinion shippers equally share the responsibility for this blame. During the initial phase of data collection, 3PL seek the existing costs, business processes, business volume etc., in order to understand the size of the business and develop a cost sheet. Often it was reported that the shippers are hesitant to provide this information citing confidentiality as a reason. Outsourcing should be considered as a strategic solution and the service provider should be considered as a strategic partner. Unless transparency is established, relationships do not flourish and this is one of the fallout. If the shipper could provide all required information to the 3PL and insist on the 3PL to provide the costing using ABB (activity based budget), this may not happen. If necessary go for an open book method which would establish transparency. Many shippers believe that they have very limited role to play in the outsourcing process. Outsourcing is a marriage; it may not work well for the organization unless both parties involved work for common objective with mutual interest. CAPGEMINI 2010 report reveals that outsourcing companies have reported 15% cost savings, 25% reduction in capital deployment, and 11% reduction in inventory. In my opinion if the outsourcing process is managed well one can avoid this problem. 3. Control over the outsourced function(s) would diminish: In my opinion it is a myth. It is true that the shipper may not have transactional control but the overall control will not diminish. Again the responsibility lies with the shipper. If the shipper is able to develop KPIs for all the outsourced activities and monitor the KPIs regularly, one may not lose control over operations. In my recently published article, I have identified 32 different KPIs for warehousing function only. An effective set of interlocking performance indicators provides operational feedback to the enterprise and helps them in directing the 3PL operator effectively. Instead of describing an operation as appalling, if one can explain that 75% of transactions failed to meet the expectations, it would deliver a better message. Controls will never be outsourced, what are outsourced is transactional operations. 4. Logistics too important to consider outsourcing: There is no doubt Logistics is important function. Seamless flow of material information keeps the business moving forward. However, some of the activities within logistics function are mundane in nature. These activities can be outsourced and allow logistics/supply chain manager to focus on the value addition instead of managing day-to-day routine functions. Hence, it is necessary to develop a strategy on outsourcing and identify non-core activities and also develop a SWOT analysis to understand threats and weaknesses of outsourcing. Routine functions such as transportation and warehousing are non-core functions in my opinion. One can outsource them and save costs. In current economic conditions it would be next to impossible to develop infrastructure globally, it would be advisable to farm partnerships and strategic alliances to save costs and expand globally. 5. Service level commitments would not be realized: It is true to some extent. Again the shippers shares 50% responsibility for this blame. As long as the shipper is able to define the measurable service levels and monitor the same periodically and works with the 3PL proactively, this could be avoided. Operational efficiency should be measured on a daily basis. Some of the Fortune 500 Companies recruit specialists or appoint lead logistics service providers to monitor their operations. Nicholas and Amrik of Monash University indicated that formulating and quantifying the requirements was an obstacle to outsourcing in Australia. If you are not sure what to expect out of outsourcing, you have no right to complain about the service levels. Effective operational control will ensure high level of service levels. CAPGEMINI 2010 review reveals that 29% improvement in average order cycle length, order fill rate improved by 11% and whereas order accuracy improved by 7% through outsourcing. Other reasons include; organizational logistics expertise. 3PL service providers globally consolidated their positions and are able to provide cutting edge solutions which individual organizations cannot afford. IT integration is very simple now days. Without penetrating firewalls one can exchange information through EDI and integration may not be necessary. 3PL capability improvement is an on-going issue; shippers may have work with the 3PLs to get what they want. However, in my opinion there are two genuine reasons and they are security risks and relationships failure. I have discussed in length about the supply chain security risks in an outsourced environment earlier. It is a genuine reason and 3PLs are expected improve their performance on this subject. As mentioned earlier outsourcing is like a marriage. As long as it is not a marriage of convenience and both the partners are willing to invest time and effort to make the relationships work, the pact should be successful. The outsourcing goes through three phases before it firms up as a relationship. The initial phase is known as courtship where everyone is happy. The second phase would be hardship where the shipper notices inefficiencies and the 3PL struggles with resources and cost overruns. The third phase is battleship, in this phase both the parties involved are in a mood to terminate the relationship because of mounting issues. If both parties proactively work and sort out issues through well-defined escalation process, the outsourcing moves into a relationship mode. Many organizations get caught up in the hype of the outsourcing craze and forget that it is a complex business strategy and lack of strategy, lack of top level management commitment and not dedicating best and brightest internal resources could lead to outsourcing disasters. If organizations embark on outsourcing with one dimensional approach of saving costs, it would be a big business risk and will have long lasting implications on the business. Ideally develop an organizational strategy, create an outsourcing frame work, and seek professional help (if necessary) to handle the process and select the right match (3PL) and this should work as mantra for outsourcing success.